Thought to be an anti-cancer herb. Tonic for nerves. Phytoestrogen. Anti-tumor. Mild blood-thinner, contains coumarins. Skin complaints, eruptions, psoriasis and eczema. Anti-spasmodic. Used for blood purifier, bronchitis, cancer. Useful as a preventative against the recurrence of breast cancer. 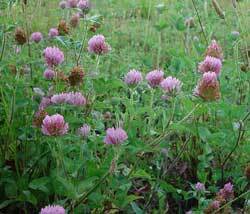 Good herb to use with nervous exhaustion or wasting diseases. Good to use with any cleansing program. Key Uses: blood purifier, bronchitis, cancer, nerves, toxins, spasms. Used by the Chinese as both a food and medicine. Used to promote blood circulation. Digestive stimulant. Traditional used in Chinese medicine for abdominal pain due to stagnant blood and dysentery. Used for external and internal trauma. Flavor enhancer. Food preservative. Contains starch, protein, fiber, sterols, and fatty acids. Medicinal agents include monacolin K, which inhibits the production of cholesterol by stopping the action of a key enzyme in the liver responsible for manufacturing cholesterol. Studies report significant increase in HDL (good cholesterol) and decrease in LDL (bad cholesterol). Lowers triglycerides. No known drug interactions. May cause heartburn and gas in some people. 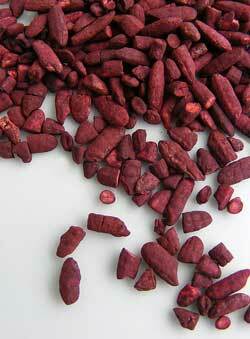 Key Uses: high cholesterol, heart disease, coronary artery disease, elevated triglycerides.